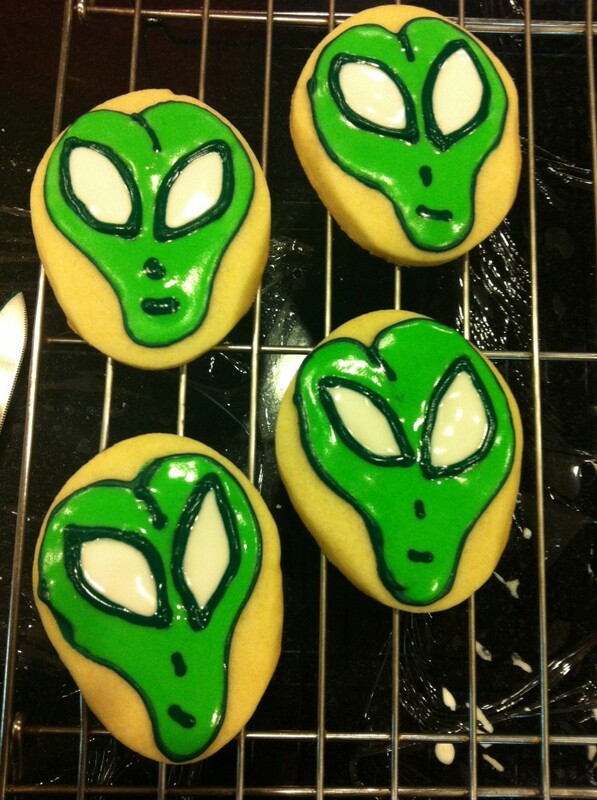 Do you believe in Aliens? 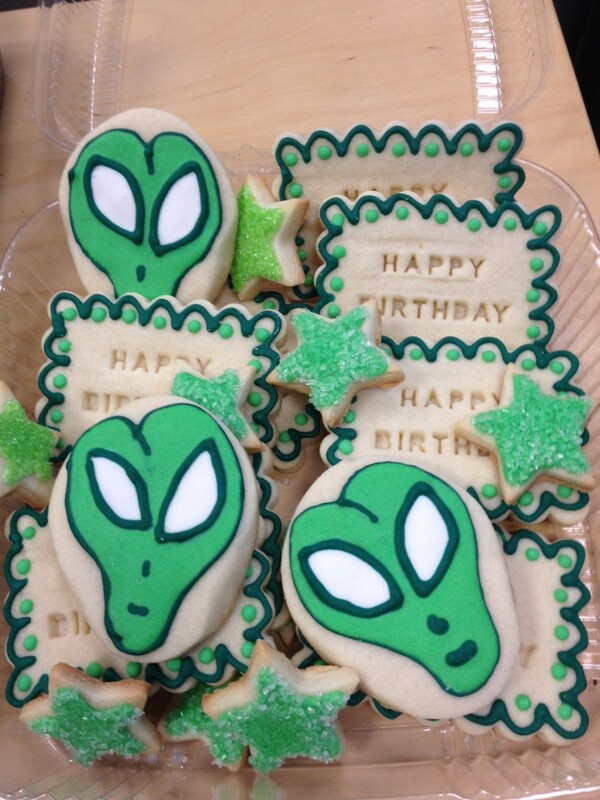 We were asked to make some alien birthday cookies for a guy who is still a kid at heart. 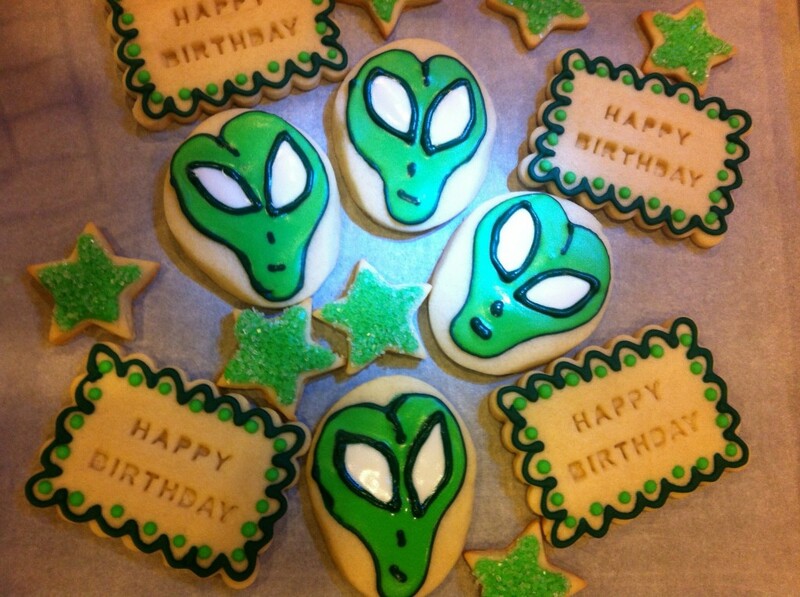 These were fun and we tried to match the “alien” to his company logo. We think these could be really fun for Halloween too! 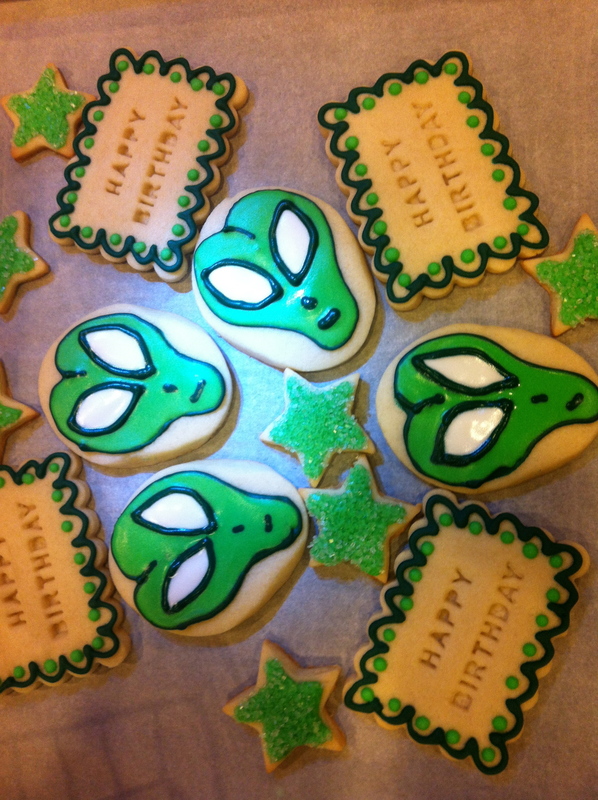 Here’s the “Alien Heads”….they are shiny because they are still wet! If only we could really make them glow….